The next track is made by one of trance biggest DJ’s. Paul van Dyk (or Matthias Paul which is is real name). First released on his first album, 45RPM, back in 1994 and remixed plenty of times since with latest remixes coming out in 2009. 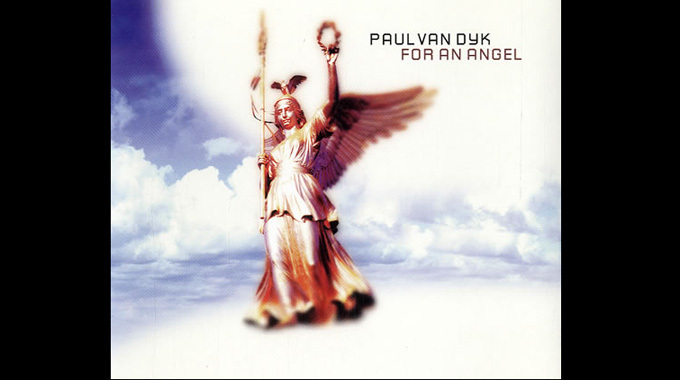 The track i’m thinking of is For An Angel (PvD E-Werk Club Mix) from 1998. A fun fact is that it was actually my hardrocker-friend that tipped me about this track after hearing it on the local radio. He later bought the CD-maxi. Paul grew up in east Berlin in the early 70’s and his musical intrest came from listening to the pirate western radioprograms broadcasted over the berlin wall, stations like RIAS and SFB. He and his friends occasionally came over some smuggled mixtapes that people visiting the eastern block bring with them. Paul and his mom got a permit to leave eastern Berlin to live with his aunt in Hamburg just before the berlin wall fell and later in 1990 he moved back to Berlin. His first DJ-gig was at the legendary Berlin club Tresor in 1991 but it wasnt until he teamed up with Kid Paul at the Turbine club that he was discovered. Pauls mixing techniques made producer/DJ Cosmic Baby open his eyes for the young talent. Paul and Cosmic Baby later released 2 singles under the name Visions Of Shiva, Perfect Day in 1992 and How Much Can You Take? In 1993. 1994 was a big year for Paul. It was the year that his first album, 45 RPM came out on the label MFS and also the singles/EPs The Green Valley E.P. , Pumpin’ / Pump This Party , 45 Remixes Per Minute and 45 RPM -The Special Spanish EP Version. The latter cointained the first version of For An Angel, with vocals by Ute Lampka-Konrad. With the release of his second studio album Seven Ways, label owner Mark Reeder launched Pauls career in England by licensing the album to Deviant Records. The album later became no1 album of 1996 according to the readers of DJ Magazine. In 1997, Paul met up with american producer BT (real name Brian Transeau) and together they produced hits like Flaming June & Forbidden Fruit. And 1999 they released Namistai. The same year Paul released version of the epic classic Age Of Love – Age Of Love. This was also the year I personally discovered Paul van Dyk. With the re-release of the album 45 RPM in the UK and the US, Paul decided to remix his old 1994 track, For An Angel and gave it the name ”E-Werk Club Mix” after a classic club in Cologne, Germany. Paul also got a resident at the world-famous Gatecrasher club in Sheffield, UK where he early stated that he was anti drugs so people did own t-shirts with the tag ”No E, Pure PvD”. In the middle of 1998, Paul decided to leave his old record label and start his own to control everything that was going on. The new label was named Vandit Records. The same year his remix of Binary Finarys instant classic 1998 was released which also topped the german dance charts. The album Out There and Back, released in 2000 contained a bunch of hits like We Are Alive with swedish singer Jennifer Brown, Avenue and Tell me why (The Riddle) with english singer St Etienne. Worth noticing is that many of the track on the album were sung by his wife Natascha van Dyk. After releasing his mix-album, Politics Of Dancing in 2001, Paul went on a worldwide tour and also saw the release of the live DVD, Global 2 years later. In 2003 he also released his fourth studio album, Reflections which were inspired by a trip to India. The album contaned the hit Nothing But You and he later was nominated for a grammy-award. Also worth noticing is that many of the tracks from the album later was used in tv-commercials for Motorola, HBO & Land Rover just to name a few. After releasing his second mix-album, Politics of Dancing 2 in 2005, he dedicated the track The Other Side with singer Wayne Jackson to the victims of the 2004 tsunami in Thailand. 2012 will see the release of his 6th studio album, Evolution, and a also a tour with the new album. Planned gigs so far: Tallinn / Estonia, Stockholm / Sweden, Bologna / Italy, Graz / Austria and Brisbane / Australia. After listening to the new single, Verano, I hear a fresh sound which probably will end up in a really big year for Paul!